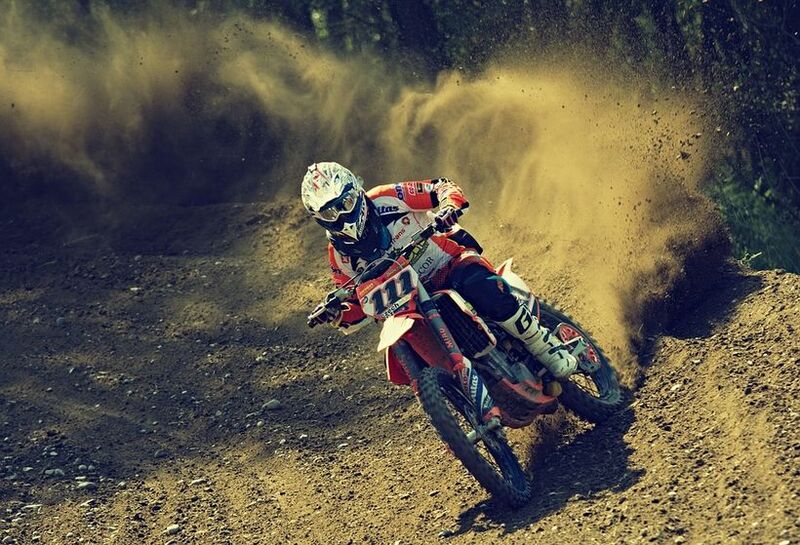 One of the most exciting activities out there is motocross, trails and off-road riding. 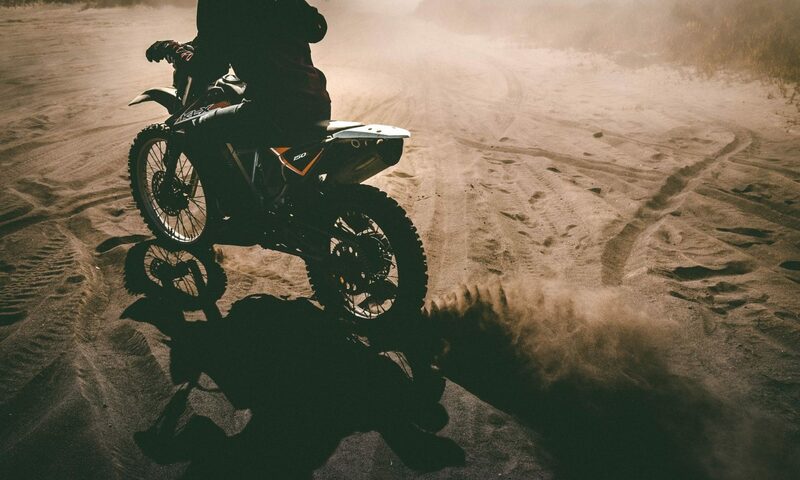 There’s the thrill of speed and adventure but there’s also the chance that you might get hurt – in fact, as many as 95% of motocross riders suffer from a riding-related injury at some point. 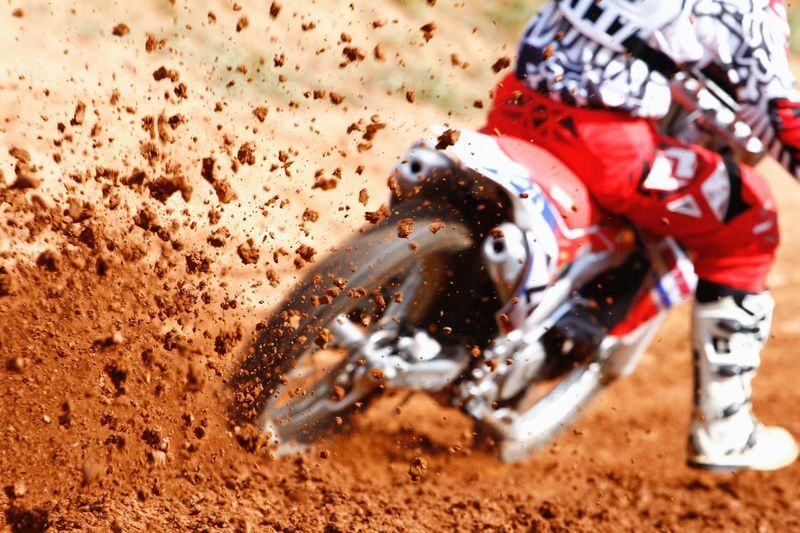 Common motocross injuries include broken collarbones, shoulder dislocation and bruised internal organs. Ouch, ouch and ouch. Luckily, a lot of these injuries can be mitigated by putting on the right protective gear. Chest protectors and roost deflectors are the best type of gear available to help protect against crashes and falls – read on to find out more about the best motorcycle chest protector we could find. I like buying gear that’s safety certified. There are a lot of companies out there that try to trick you with false features so a universal safety stamp gives me that peace of mind. What is a motorcycle chest protector? It’s all in the name: it protects your chest while you are riding! But there is a bit more to the subject, which is what we’re here to share with you. We’ve given you an idea of how important kidney belts are while riding, and this is a similar piece of gear but extends farther upwards and across the torso to provide safety for the upper body. Like most pieces of gear, there are different styles available across all price ranges but the basic concept is the same. A motorcycle chest protector is sturdy, strong and designed specifically to provide support and protection for the upper body and vital organs such as the heart and lungs while riding and/or racing. Although chest protectors can be worn for casual riding and touring, this piece of gear is probably better suited for motocross racing and dirt bike riding. 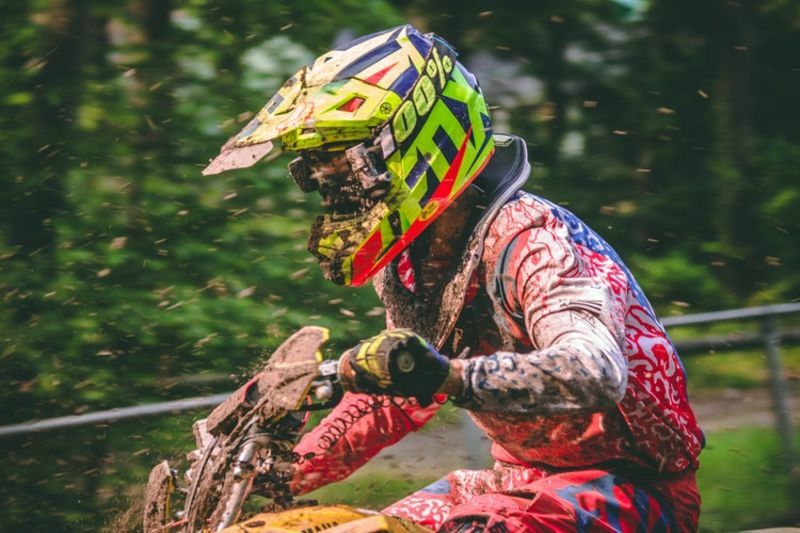 Chest protectors and roost deflectors are most commonly worn by off-road and MX racers for extra protection against the elements, crashes and flying rocks, dirt, sticks and everything else that attacks you while riding off-road. 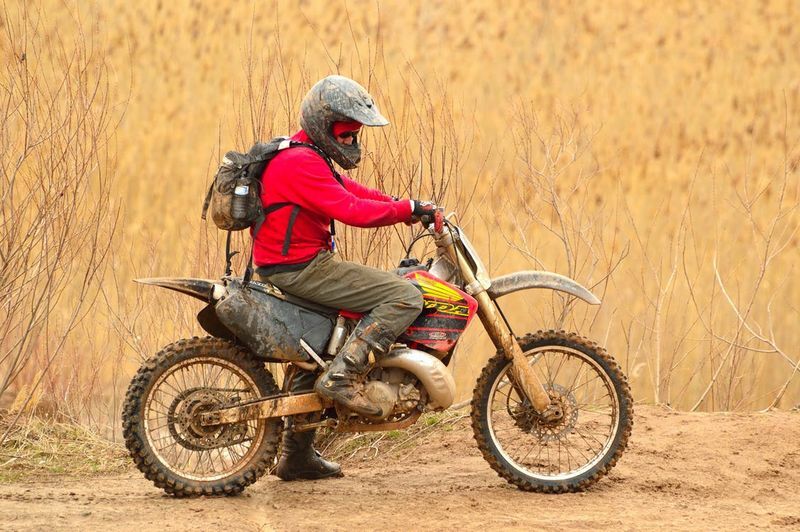 Riding out on trails without a chest protector or roost guard could mean a stick in the chest or a hard rock to the collarbone, while motocross could even mean a handlebar or foot peg bruising your organs if you should fall. Many professional riders wear this gear underneath their jersey or racing jackets so if you don’t see anyone else wearing a chest protector, don’t be fooled – it’s there, it’s just hidden out of sight. Even if you’re just out there riding trails, a dirt bike chest protector could mean the difference between a plain old bruise and a nasty fall that could leave you with permanent organ damage or broken bones. Motocross falls and crashes are inevitable. You need every piece of safety gear you can get. Not convinced yet? Check out this motocross fails video compilation and think again. There’s a bit of a difference between an mx body armor chest protector that covers the full upper body and a roost deflector, which is more lightweight and allows a wider range of motion while riding. Some riders find a full chest protector to be a bit uncomfortable and opt for the latter, which serves to deflect rocks, dirt and debris. 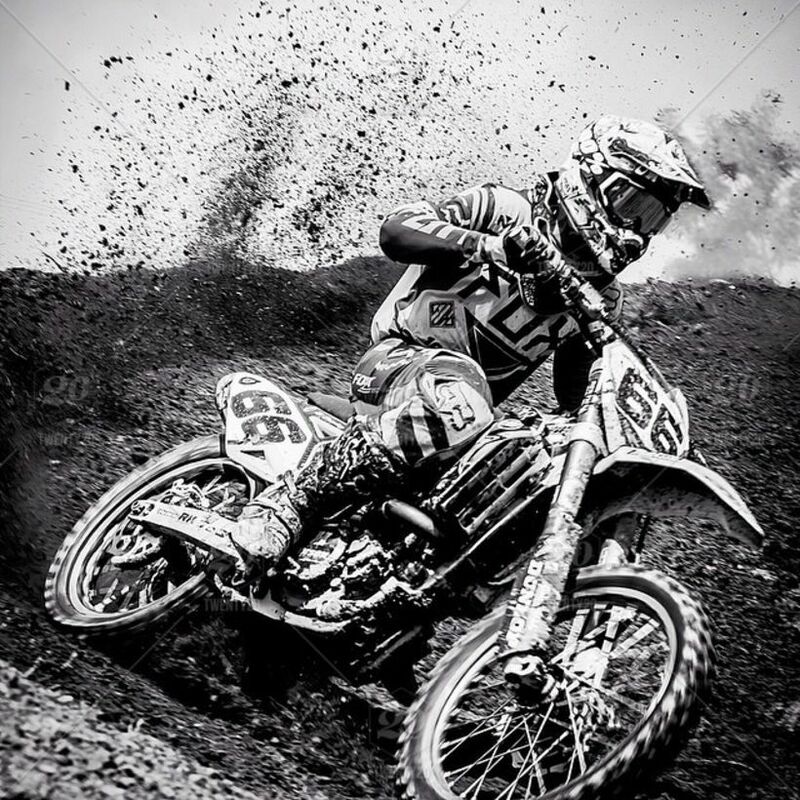 Keep in mind though that a roost protector does not offer the same level of protection and probably won’t hold up as well as a full chest protector in a crash. Most modern chest protectors have been designed with comfort in mind and have contoured fits for a less intrusive effect. Impact armor differs quite a bit from a chest protector and is primarily used by pro road racers and motocross/enduro riders. Impact absorbing pads are held in place by a tight race suit to provide maximum protection and safety. In terms of safety it’s much more encompassing than a chest protector and fully covers parts like collarbones that are most likely to be injured with mx riding. However, in terms of comfort, it’s far from ideal. Full body armor is prone to heating up way too fast, like a hot summer day but inside your suit. It may also impede your flexibility a bit. People are like potatoes, no two are the same. Make sure to find a motocross chest protector that suits your body type – and we don’t mean in terms of fashion sense. Your chest protector doesn’t have to flatter your body type. It does have to fit properly in order to provide that maximum protection and the best level of comfort possible. Some chest protectors come with additional features, such as removable upper arm guards. It might seem like a minor addition but don’t underestimate the power of arm guards. As soon as you head into overgrown terrain and those tree branches give you a good whooping, you’ll realize that the arm guards make it much easier to prevent these stinging injuries and enjoy your ride at peace with Mother Nature. Like with helmets, chest protectors and roost guards need to be ventilated. Well-placed vents allow air to flow naturally through the gear, thereby lowering the rider’s body temperature. If it’s not well ventilated, you’ll be ripping that chest protector off within minutes so go the extra mile and find one that gives you the breathing room you need. Not surprisingly, different brands and models of chest protectors and roost guards will offer coverage in various areas. Roost deflectors can often be worn as a chest (front) plate only, with adjustable and removable back plates. Some heavy duty motocross chest protectors will have extra removable coverage for the arms and shoulders, and some include full chest and spine coverage. What you end up getting will depend largely on your personal preference and the type of riding that you will be doing, so think wisely about what you’ll need. CE certifications indicate that the minimum safety standards for the gear in question have been met. It’s actually a European safety standard and mostly comes on products intended for the European market. However, it’s widely accepted as an international safety standard since there isn’t really anything else to go by. The DOT safety standard for helmets is specifically for the American market but there’s no equivalent measure for other protective gear. For protective motorcycle gear including shoulder pads, kneepads and back protectors, CE certifications should be EN 1621-1/2/3 and preferably level 2 or 3 for maximum safety. 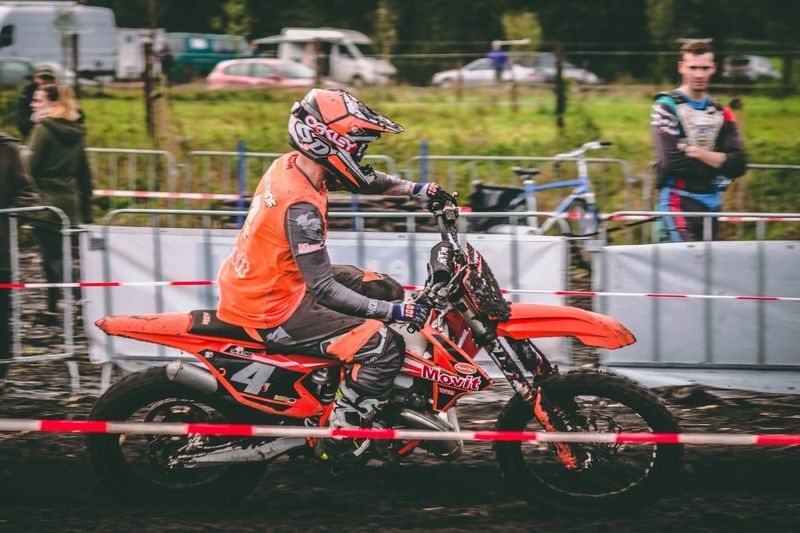 Chest protectors with CE certification are recommended as they will provide the best protection for activities like off-road riding and motocross racing. Roost deflectors may have CE certification for certain parts of the gear, such as the front plate but often come without the CE label. If you’re getting a piece of gear that’s not CE certified, make sure that the materials used are good quality and that the gear will hold up well in case of accident. This is a full chest protector with the CE certification that we mentioned above. The back is CE EN16210-2 level 2 certified, while the front plate is CE EN 1621-3 level 2 certified for impact protection. Safety: check! The Leatt chest protector has everything you need: a strong outer shell, an interior with ventilated soft impact foam and even a compatible fitting system for a neck brace. The protector covers the chest, back, shoulder and flanks well for ultimate protection. It fits securely and complements a rider’s motions so if you hate bulky gear that feels heavy and limiting, the Leatt model is a good choice for a dirt bike chest protector. Light as a feather, ventilated and easy to use, this is a great roost guard for off-roading and motocross racing alike. This one is a roost guard and not a full chest protector but the front shell is CE certified and sturdy. 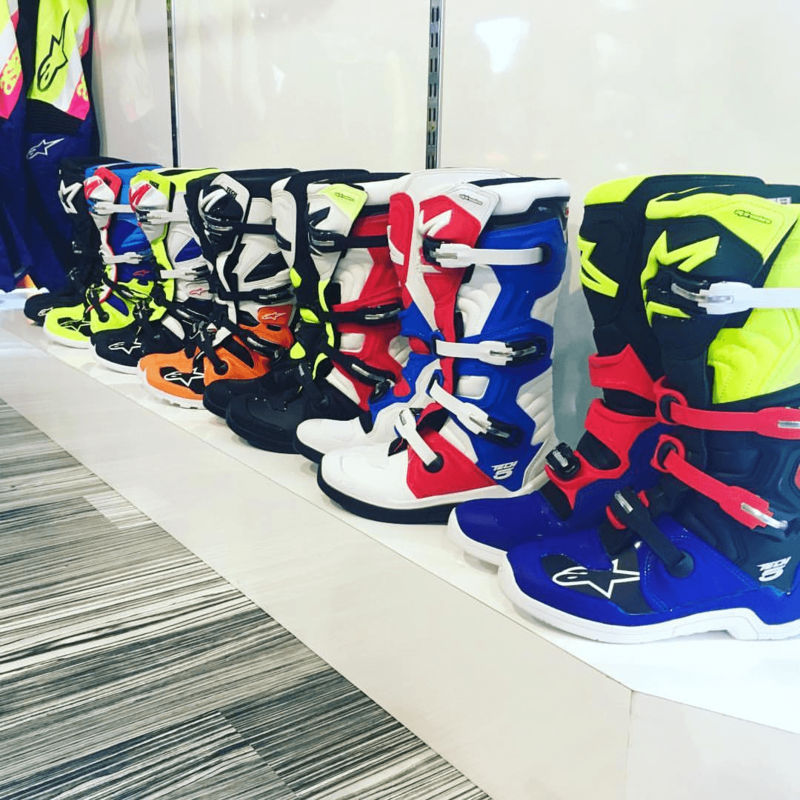 If you’re looking for a very lightweight option with great protection at the front, the Alpinestars roost guard might just be the one for you. The strap closure system is easy to operate and the materials used are ventilating and breathable. If you plan on being out on those dirt roads regularly, you definitely want a roost guard with cooling ventilation and good materials that still provide flexibility. Loving it! This is the chest protector of the future. Buy it now and you will literally be 10 years ahead of the times and ready to stay on Mars. This one just looks so. Damn. Cool. Look at it. Like some futuristic gear for when we end up on Mars one day. It’s light in weight, it’s ventilated, it provides full coverage and both the front and back panels are adjustable. Not only stylish, but practical too. Don’t play around with safety. There’s really no excuse to slack off with good gear – as you can see, there are a lot of affordable options that still look amazing and won’t be dragging down your style (like this one). A 2-position back plate with lots of adjustable parts makes this a great choice for any body type. This roost deflector doesn’t discriminate. Fox is a brand reputable for good gear that holds up well for racing and adventure. It’s important to get a secure fitting chest protector and Fox hit the mark with this one: in addition to having a removable back plate, the back plate can be adjusted in two different positions for a more precise fit. The shoulder straps are also adjustable and the buckle system is easy to use. If you’re intent on getting a chest protector that sits perfectly, the Fox racing roost deflector is a great choice that fits almost any body type. It also fits really well under a jersey. Initially I only purchased starter gear and it worked really well for me as a novice rider. It gives you the opportunity to test out what’s important for you specifically before diving in and spending a lot of money. I like reviewing a budget option because as we all know, motorcycle gear can really drain your budget. This roost deflector from Fox is a good example of a sturdy piece of gear that despite an affordable price, doesn’t compromise on features like being adjustable and comfortable to wear. If you like gear that can be changed for customization, this is a really good choice. The deflector includes padded arm guards that are both adjustable and removable, as well as shoulder connections that are adjustable. The fit is designed for racing and is well ventilated, although the sizing seems best suited to young adults and children. In keeping with the idea of putting safety first, our vote for the best motocross chest protector is the Leatt 4.5 chest protector. The CE-certification for the plates are on point and if I’m buying a chest protector that’s meant to withstand the hardest blow from a tree or rock or whatever else, I’m not taking chances. The interior material is breathable and the ventilation seems more than sufficient for off-roading purposes. If you have to go with a lighter option and are willing to risk the odds with a roost deflector, the Alpinestars A1 is a great mid-range option. The front plate is CE-certified and the interior padding is bio-foam – Alpinestars didn’t skimp on the material and although the roost guard doesn’t provide the ultimate safety for motocross or off-road racing, this option will surely protect the front areas that are covered. Safe riding, folks! 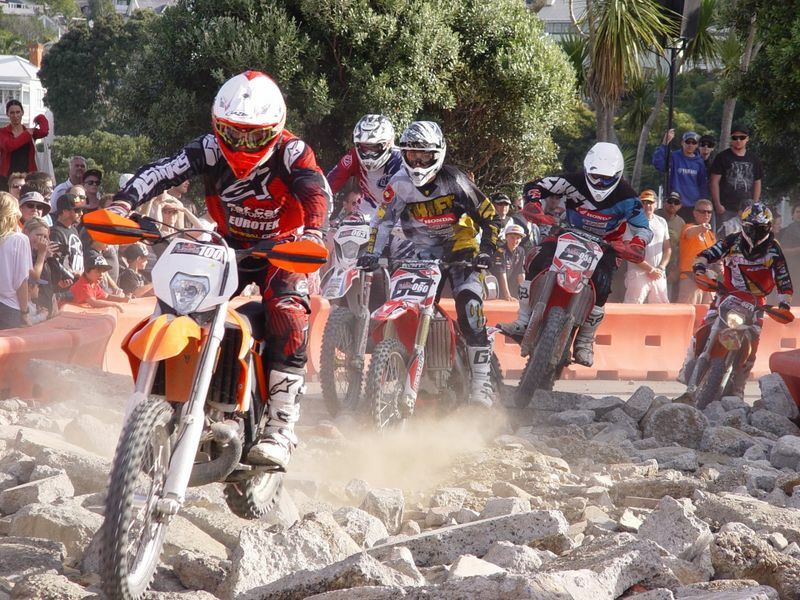 You can't enjoy motocross racing and off-roading without good protective gear. 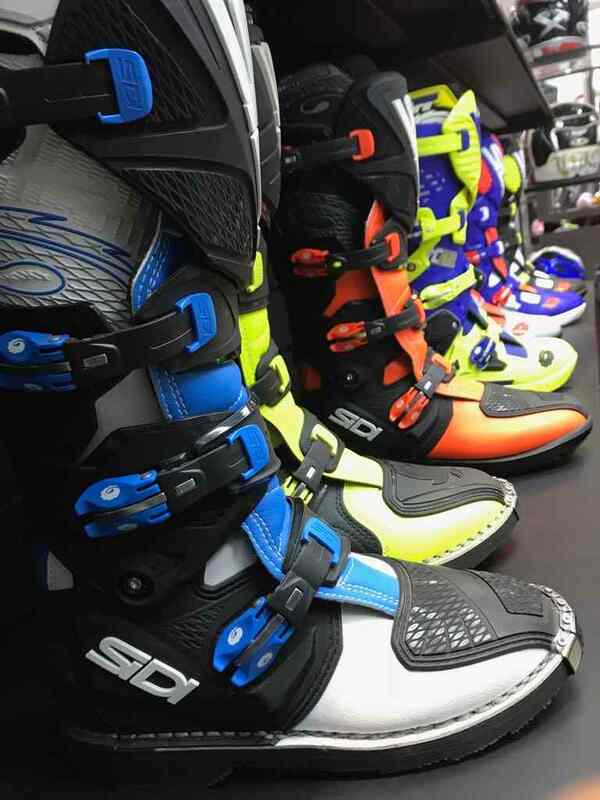 Choose the best Sidi boots for ultimate protection and comfort.